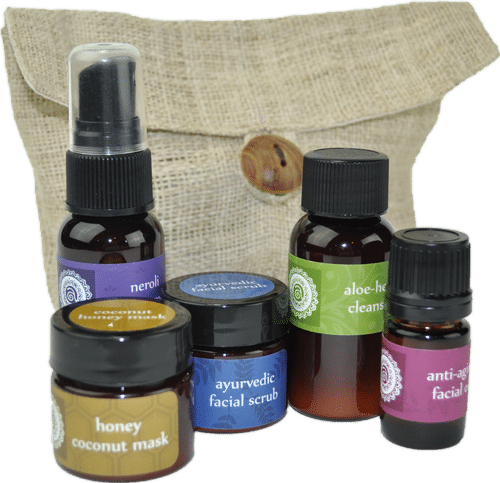 Now Available: Annmarie Skin Care Travel Kits! Annmarie Skin Care > Organic Skin Care Products > Now Available: Annmarie Skin Care Travel Kits! First up, our holiday travel kits! These kits are a fabulous way to sample our product line. They are arranged by skin type – Normal, Oily Skin, and Anti-Aging/Dry Skin – and contain a full skin care regimen in convenient 1oz travel sizes. They all come packaged in a signature Annmarie Skin Care hemp purse that you can use over and over again. Next week, we’re debuting our big holiday gift packages. I can’t wait to show them to you – you guys are gonna love them! Talk to you soon!